Japan or what is often called the Rising Sun Country is one of the tourist destinations that is very popular among tourists. Not only natural beauty is presented in Japan, but Food and events held in Japan also attract tourists. Well, you know what the best time to visit Japan is what month? Here is the most appropriate time to visit the Land of the Rising Sun. Why is Autumn one of the best times to visit Japan? Yes, because in autumn in Japan, they will hold a festival called Ginko Festival. At Ginko Festival it’s like a bazaar that sells traditional Japanese food. Now, this is a very good time to visit Japan, because cherry blossoms are blooming very beautifully. If you want to visit Japan in March to May, it would be nice for you to buy airplane tickets far away, because this month the price of airline tickets will rise. Visiting Japan from June to August is also no less exciting, because there will be many events or festivals held there. At the peak of the event, we will be presented with the Fireworks show. As in general, winter in Japan we can definitely play snow. 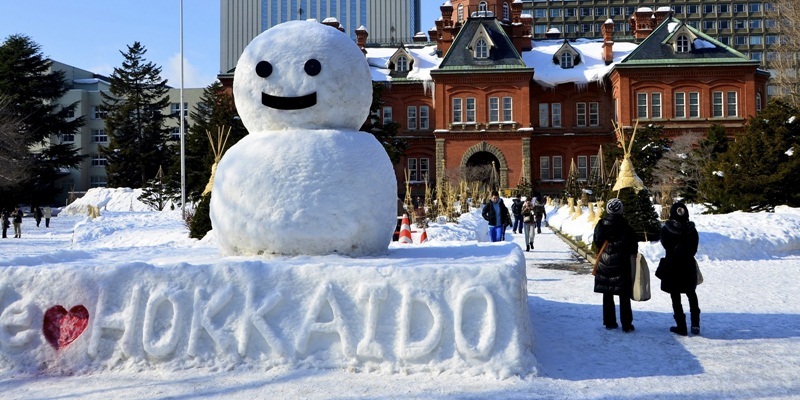 Not only playing snow, we will also be able to play Ski in Hokkaido. After being tired of playing with very cold snow, we must try Onsen in Japan which will warm our bodies after playing snow.